Could your thyroid be preventing you from losing weight? Thyroid Weight Loss is almost impossible when your thyroid is not in optimal condition. We have all heard of thyroid weight loss, the lack of thyroid hormones when you are Hypothyroid. Have you ever wondered if your weight gain could be from a lack of thyroid hormone production? Or in other words, just plain slow? Many people do not realize that there are reasons we gain weight and much of the time it is beyond our control. Hypothyroidism is one of those reasons. We all know about the Thyroid and Weight Loss. How hard it can be. When your thyroid starts to slack off in producing the thyroid hormones that your body needs to keep a healthy metabolism, you will start noticing a weight gain. Then you will wonder why…even go to your doctor and have all kinds of lab tests done…just to find out “everything is ok”. But is it really? There is so much more than a simple lab test to see if you have an under active thyroid. It is the most important to pay attention to your symptoms that have made you question the possibility of Hypothyroidism in the first place. Do you experience any of these symptoms? These are just a few of the most common symptoms of an under active thyroid. One thing that causes your thyroid to go out of whack is dieting. Especially Yo- Yo dieting. Thyroid Weight Loss will not occur. You will come to a point where your body no longer will trust what you will feed it. Then naturally your body will store body fat as fuel reserve in case it needs it for survival. Your thyroid is the thermostat to your whole body. If you are not properly taking care of it, it will turn itself way down. 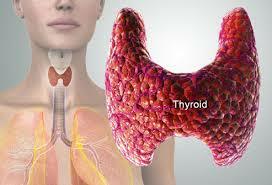 During weight loss when you have an under active thyroid, certain measures need to be taken to support the thyroid. This will cause a pleasant rapid weight loss to occur. Let us help you jumpstart your weight loss efforts today with our methods that truly work. Get back what you have been missing — Your body, energy and life!